Recommended: Teachers, Fitness Trainers, Security Guards, and Laypeople. 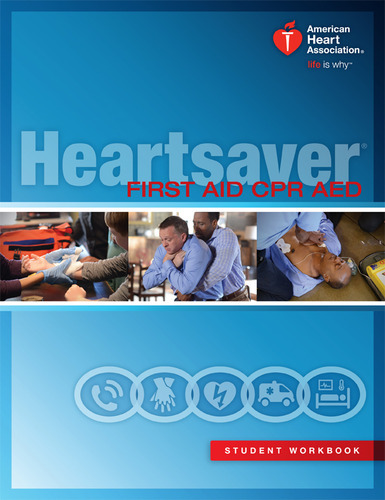 The Heartsaver® First Aid CPR AED course provides first responders with training in basic first aid and CPR AED procedures — including the first aid skills recommended by OSHA — in a format that can be delivered in a single day. The Heartsaver® First Aid CPR AED course is intended for all individuals who have a duty to respond to a first aid or cardiac emergency because of job responsibilities or regulatory requirements. The Heartsaver® CPR AED Course teaches CPR and relief of choking in adults and children and infant CPR and relief of choking, and use of barrier devices for all ages. 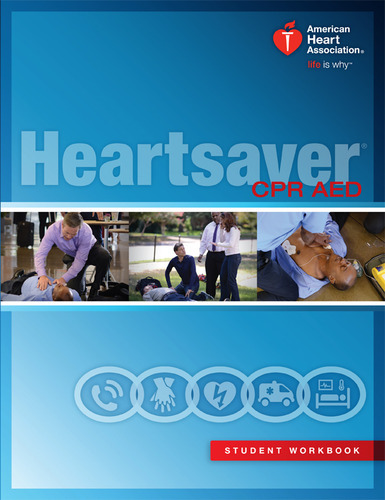 The Heartsaver® CPR AED course is intended for all individuals who have a duty to respond to a first aid or cardiac emergency because of job responsibilities or regulatory requirements. 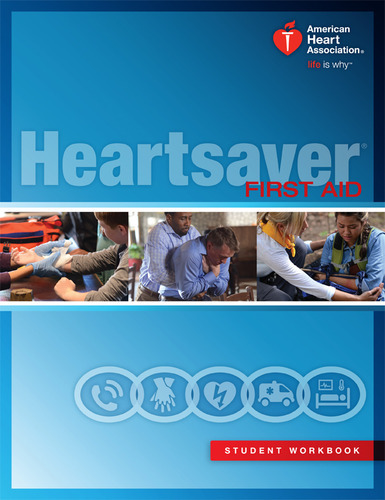 Heartsaver® First Aid is a video-based, instructor-led course that teaches students critical skills to respond to and manage an emergency in the first few minutes until emergency medical services arrives. Students learn duties and responsibilities of first aid rescuers; first aid actions for medical emergencies, including severe choking, heart attack, and stroke; and skills for handling injury and environmental emergencies, including external bleeding, broken bones and sprains, and bites and stings. The Heartsaver® First Aid CPR AED course is intended for all individuals who have a duty to respond to a first aid because of job responsibilities or regulatory requirements. Recommended: Preschools, Daycare, Child Care Workers, Parents, and Babysitters. 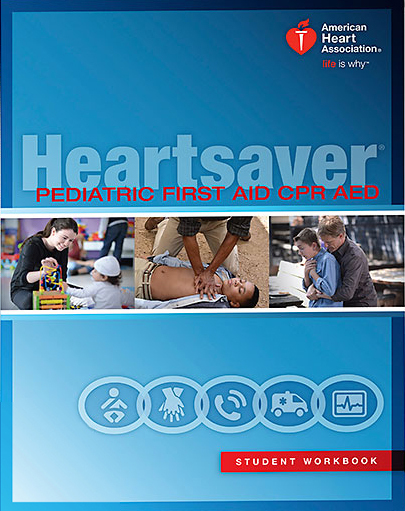 The Heartsaver® Pediatric First Aid CPR AED Course is designed to meet the regulatory requirements for child care workers in all 50 United States. It teaches child care providers and others to respond to and manage illnesses and injuries in a child or infant in the first few minutes until professional help arrives. The course covers the Four Steps of Pediatric First Aid and modules in Pediatric First Aid, Child/Infant CPR AED, Adult CPR AED and Asthma Care Training. The Heartsaver® Pediatric First Aid CPR AED course is intended for all individuals who have a duty to respond to children and infants in areas such as preschools, day cares, and homes. Bloodborne pathogens present a serious risk in many different professions, both healthcare and non-healthcare. If you have a reasonable chance of occupational exposure to blood or blood-containing materials, this online class is a must! 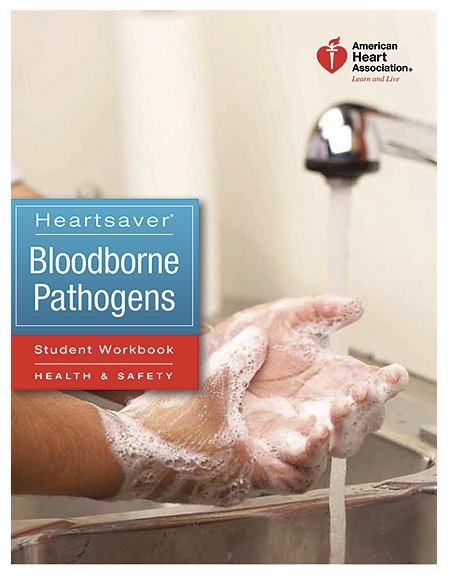 You’ll learn about the different types of bloodborne pathogens and how to protect yourself before, during and after exposure. The CPR Hero updated their status. 8 new states require students to be CPR certified before graduation. How do you guys feel about this? 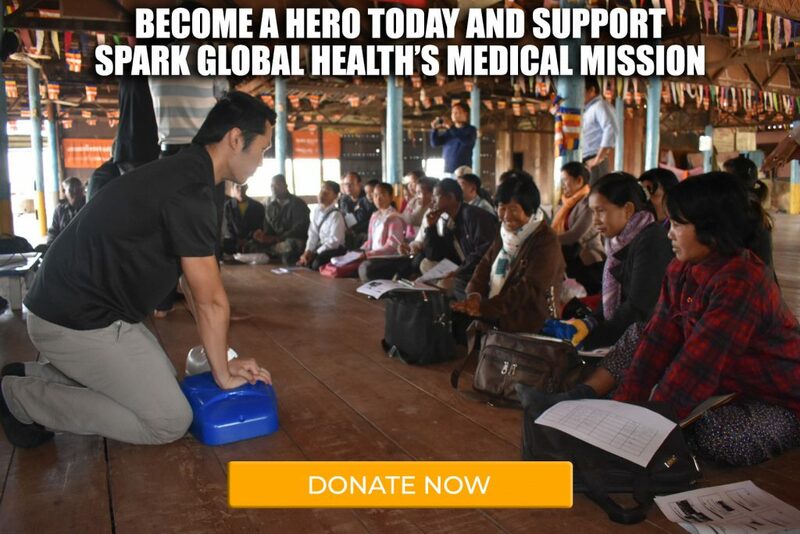 The CPR Hero is with Stephen Cheung.